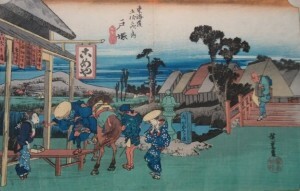 In the Permanent Exhibition, you can see The 53 Stages of the Tokaido, by Hiroshige. 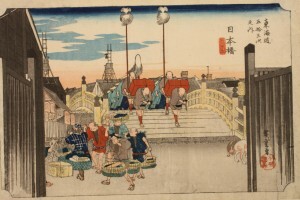 Now, you can see the prints of three stages- Nihonbashi, Shinagawa, and Kawasaki, published by Hoeido, Ezakiya, Marukiyo, Sanoki, and Tsutaya. 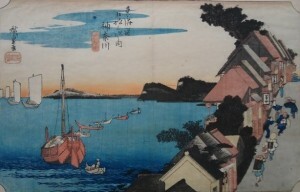 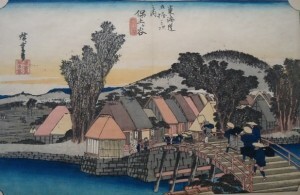 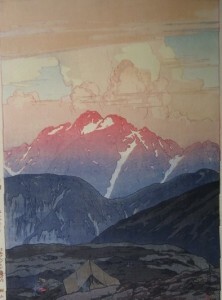 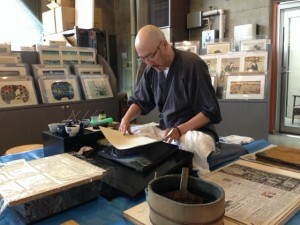 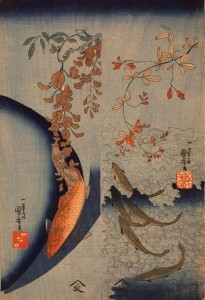 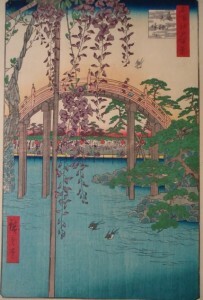 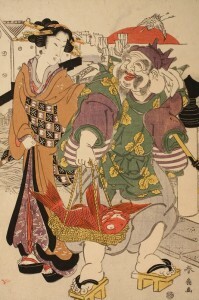 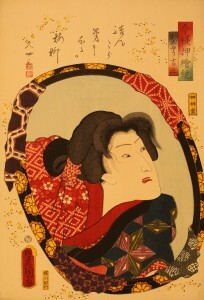 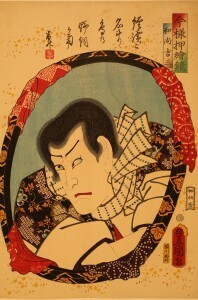 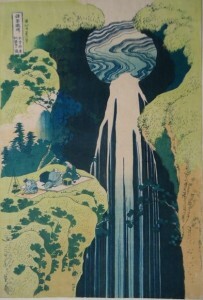 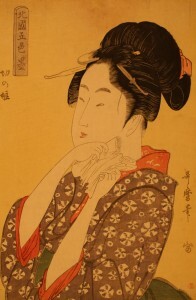 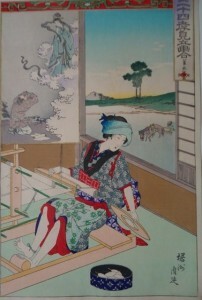 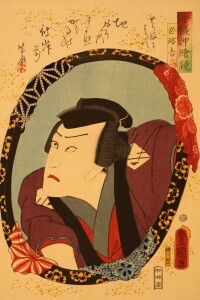 Prints by Hokusai, Toyokuni, and Kiyochika are displayed as well. 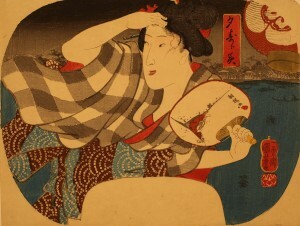 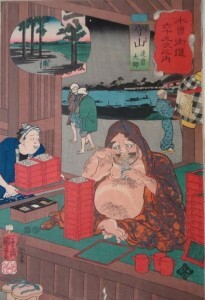 Special　Exhibition　Children’s prints, The Seven Gods of Good Fortune and the “pictorial quizzes”. 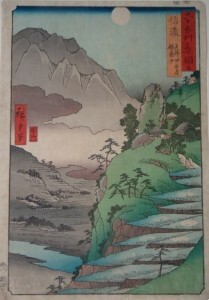 In the Special Exhibition, you can see New Year’s Day prints, The Seven Gods of Good Fortune, along with children’s prints, and Mount Fuji. 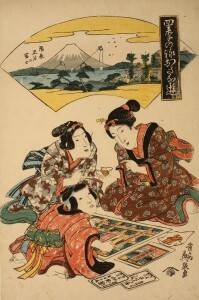 In particular, please enjoy the “pictorial quizzes” by looking and thinking about them. 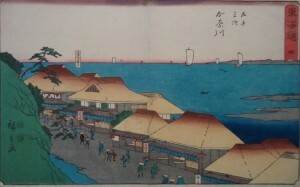 We believe that now you will be able to enjoy the exhibits quite relaxingly.